FRED DE SAM LAZARO, correspondent: Colombia’s long-running civil war has uprooted hundreds of thousands of rural citizens who’ve crowded into cities. In Medellin, perhaps a fifth of the 2.4 million inhabitants are displaced people like Cecilia Marin. CECILIA MARIN: We came to Medellin in 1996. The guerrillas had taken over one of our homes and killed a person right in front of our house. We were tired of witnessing all this violence. DE SAM LAZARO: Not that Medellin offered much safe haven. The conflict with the leftist FARC guerrillas was in the city, too. There also were right wing so-called self-defense militias set up by rich landowners and often allied with the government. REV. JULIAN GOMEZ: Once we had the narco-trafficking, things became even more complicated. You had narco-violence, political violence, and also that of the self-defense forces. DE SAM LAZARO: Medellin became known as the cocaine capital—and the murder capital—of the world, home of the notorious drug lord Pablo Escobar, who was killed by police in 1993. 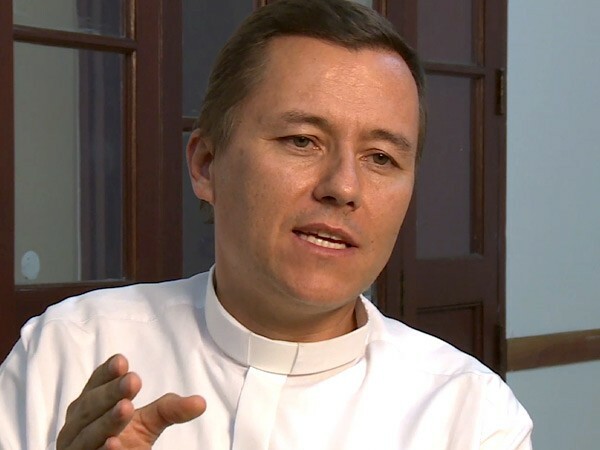 Much of the drug trade has since shifted to Central America, and here in Medellin, Father Gomez says things have calmed down considerably. REV. GOMEZ: The city has undergone a transformation. It’s been a positive one. Things are thought out now: how do we make streets, how do we make houses, infrastructure, how do we improve mobility, health, education? It’s had an integrative approach. People got tired of fighting. DE SAM LAZARO: Medellin has seen a dramatic drop in violence. The murder rate is down from about 380 per 100,000 people to about 50. Experts credit a general calming trend across Colombia in recent years. There’s even a peace process mediated by Cuba between the government and the leftist FARC guerillas. Also, they credit the efforts of new political leadership to bring people together in the city, says Alejandro Echeverri. ALEJANDRO ECHEVERRI: When we look at the narco trafficking years of Pablo Escobar, people did not trust each other. They built barriers around themselves, and they put walls up, and so public space in this city takes on a far greater significance than anywhere else, because people didn't look each other in the eye when they walked down the street. DE SAM LAZARO: Echeverri is an architect. He was part of the administration a decade ago that set out to create safe public spaces with a focus on poorer sections. We spoke in front of the Exploratorium he designed—a science museum that’s one of several distinctive new buildings. ECHEVERRI: This project right here is part of a broader narrative of social urbanism that the city started in 2003 and 2004. This place is symbolic because it connects the north of the city, which has a lot of poor neighborhoods and has traditionally been stigmatized, with the south. It’s not just the Exploratorium. It’s also the botanical gardens and the Metro. DE SAM LAZARO: The Metro is perhaps the most extraordinary of all the building projects here, with a system of escalators and gondolas you typically see at ski resorts. Here they reach into the barrios. These neighborhoods cling to the mountains that surround the city, an almost vertical hike that was a barrier that excluded the poor, Echeverri says. ECHEVERRI: All of these policies are geared towards trying to decrease inequality and include the poor and marginalized sectors who today can now access transportation and other services. DE SAM LAZARO: Along the new transit routes are community centers—libraries where there’s everything from computer and internet stations to loan programs for would-be entrepreneurs, like Fernando Posada. Today Posada is expanding from two to four employees. His cookies and waffle chips look like professional products, he proudly says. And they are selling well. FERNANDO POSADA: Since I got training, I’ve been able to professionalize and mechanize our production; to meet all the labeling requirements so that we can sell in more stores. DE SAM LAZARO: The money for all this comes from an unlikely source for a city. One of the biggest drivers of Medellin’s transformation is a company headquartered here called EPM. It’s one of Latin America’s most profitable electric utilities. This company is wholly owned by the city but it's run independently and privately. It pays taxes to the city, but it also sends it profits to the city. And last year, those amounted to $600 million. EPM has expanded into six Latin American countries and seen record profits in recent years. It has fueled construction that’s won Medellin international awards, says urban affairs scholar Catalina Ortiz. But that’s due to good public relations as well, she adds, and it’s not the whole story. CATALINA ORTIZ: Don't be fooled by the great marketing that has been done. Scratch a little bit more, and you are going to find several things that usually are not really unveiled. DE SAM LAZARO: Not unveiled, she says, is a huge housing challenge. ORTIZ: Housing to rehouse the households that are located in risky areas, or try to break the segregation pattern and try to have more mixed-income housing, for instance. DE SAM LAZARO: The poor are pushed ever higher up the mountainside, she says, where they often endure poor construction and inadequate basic services like water. 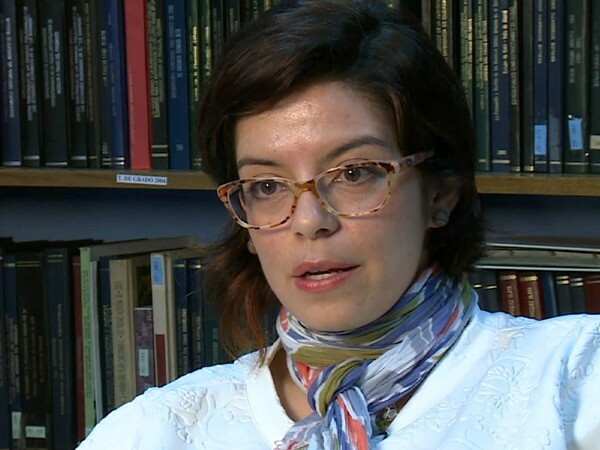 DE SAM LAZARO: Medellin’s Catholic archdiocese tries to assist displaced people like Cecilia Marin. She shares this tiny home with her husband, daughter, and two grandchildren. The church’s social services arm offers the help of building engineers and generally advocates for better services and even helps families dealing with domestic violence. Cecilia Marin says she feels fully resettled now. MARIN: I believe without my faith I wouldn’t have gotten here. Why would I want to return to my village? Life is the most important thing, and I value my life. DE SAM LAZARO: The fact that she prefers Medellin is testament to the city’s progress. But like many experts, architect Echeverri says there’s still a ways to go. Crime, though lower, is still high. Corruption remains a problem, as does high unemployment in a city whose historic industries, like textiles, have gone away. ECHEVERRI: There still remains a profound level of inequality here and a lot of economic policies that exclude the poor, a lot of it due to globalization. I’m also concerned about politics. Things are very fragile and could change very quickly, but I’m optimistic, because Medellin does have this spirit of social commitment and trust. DE SAM LAZARO: He’s proudest, he says, that Medellin has used public architecture to start down the path of repairing its cocaine-sullied reputation. 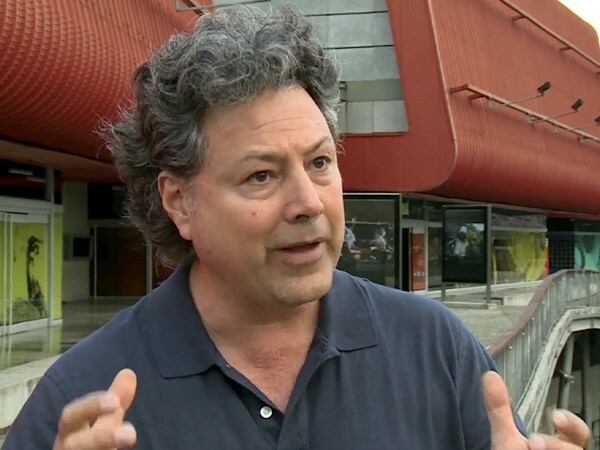 For Religion & Ethics NewsWeekly, this is Fred de Sam Lazaro in Medellin, Colombia. The city of Medellin in Colombia has undergone a dramatic transformation in recent years. 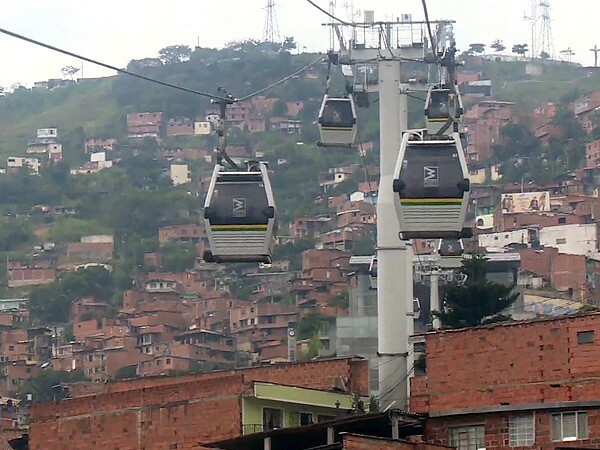 Once known for its murders and drug trafficking, Medellin’s crime is dropping rapidly, and sleek new buildings, better public transportation options, help for small businesses, and improved policies aimed at reducing poverty and inequality are the first hopeful signs that, while there are still many challenging issues, the city may have left its violent legacy behind. 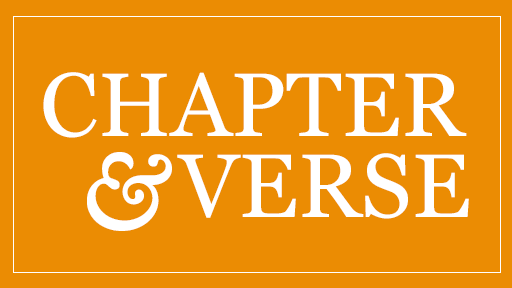 We talk with a Catholic priest, an architect, and an urban affairs scholar about the city’s changes.